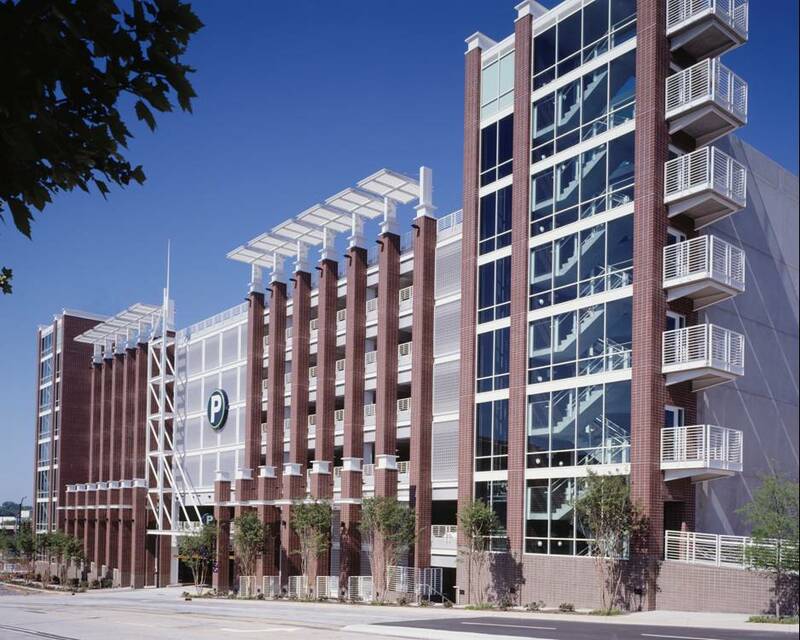 Constructed in downtown Greenville adjacent to a major office building, this 905-space precast parking structure was designed to accommodate residential condominiums at both the east and west elevations. 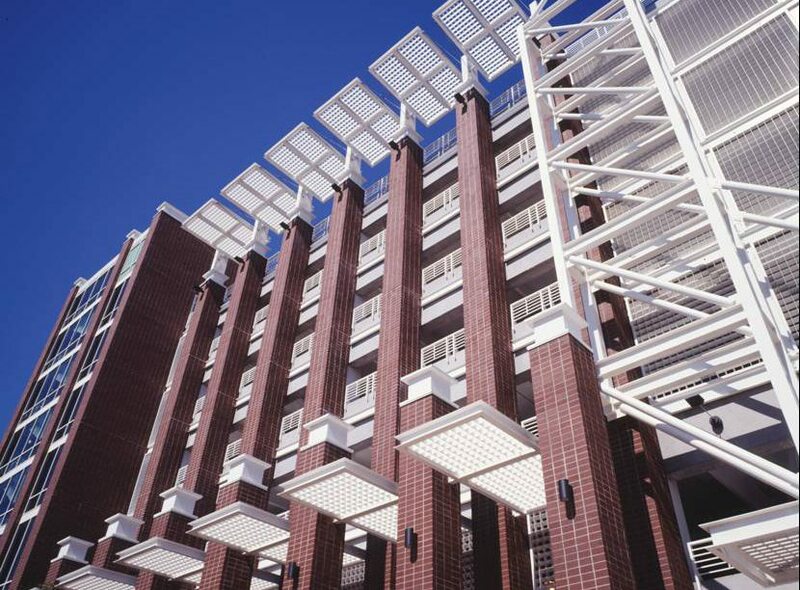 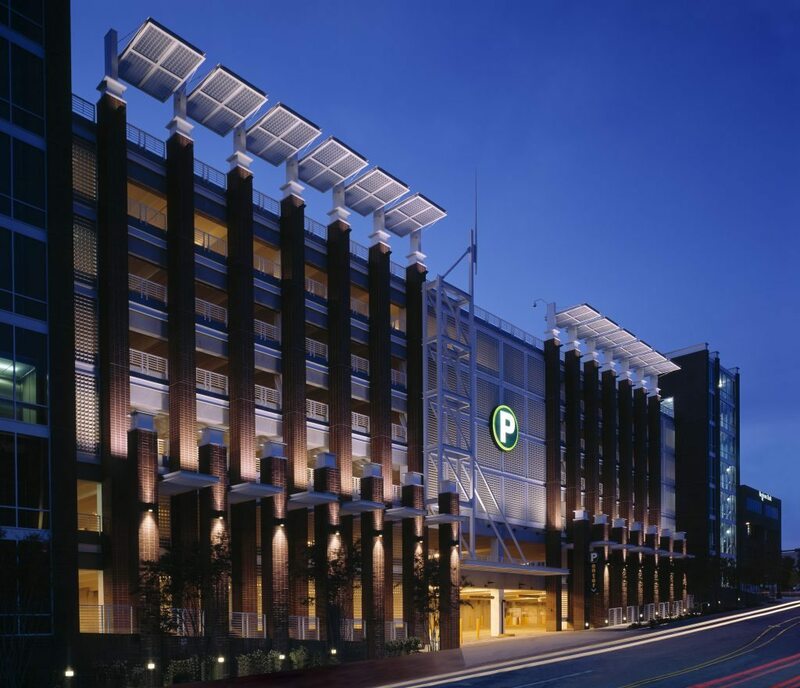 The parking structure’s design is aesthetically appealing with a facade of face brick and architectural aluminum metal. 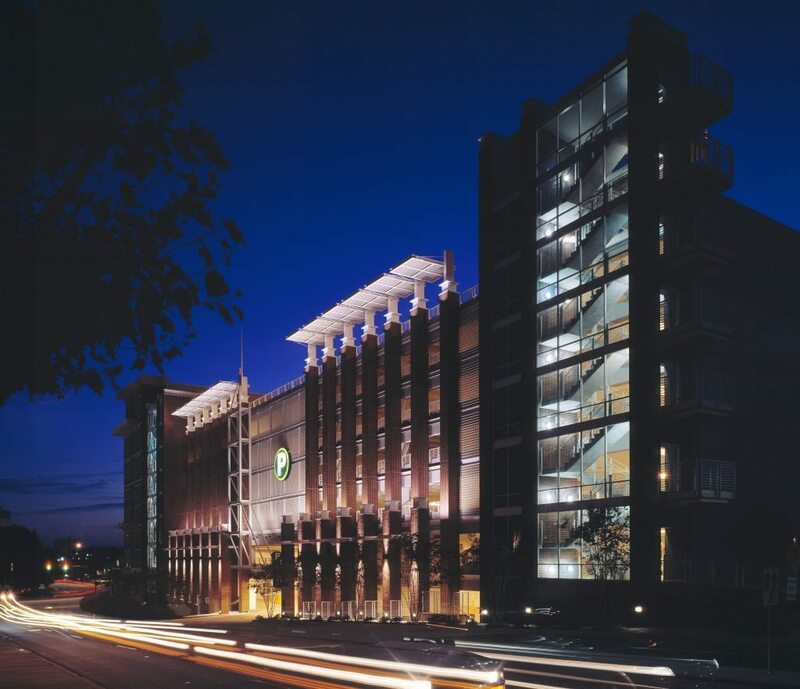 Four glass-enclosed elevators and stair towers provide user access between the levels. 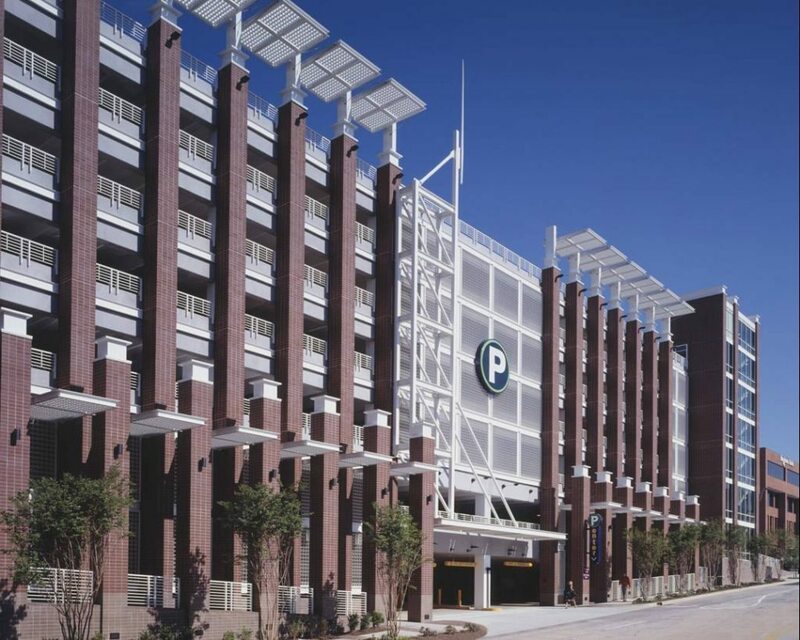 Special care was taken to enhance the lighting levels for improved safety within the parking garage.